A 31-by-19-foot conference room used for audio and video conferencing presented unique audio challenges. Here’s how it was solved. Long, narrow conference room gets the full ClearOne treatment with CONVERGE Pro 880TA DSP mixer, Beamforming Mic Array, Tabletop Controller and UNITE 200 PTZ Camera. 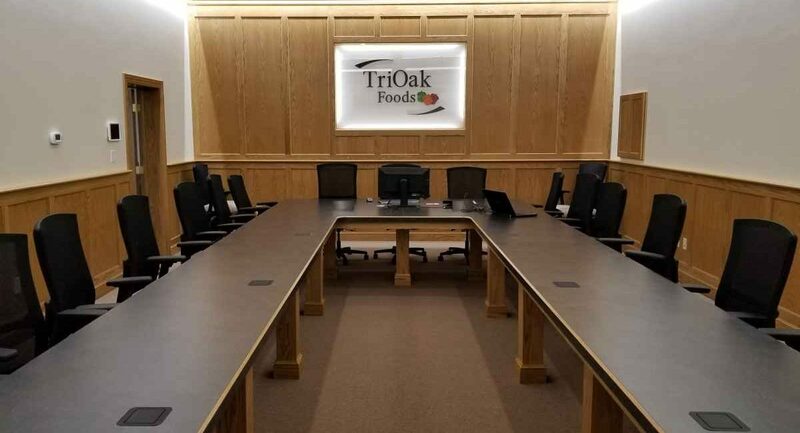 A warehouse-to-office space conversion proved extremely beneficial to Ames, Iowa-based TriOak Foods. 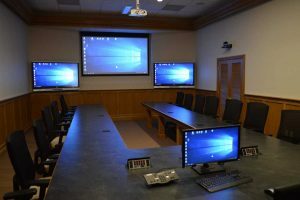 One byproduct, a large, narrow 31-by-19-foot conference room used for audio and video conferencing also provided some audio challenges for the AV integrator. TriOak’s systems integrator Phil Earnest, owner of Collins Communications, was tasked with addressing multiple audio issues that the old audio conferencing solution TriOak was using failed to address. 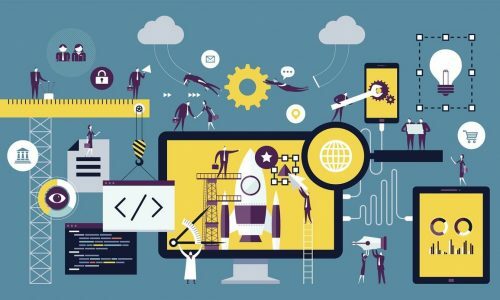 “The TriOak senior management team explained that they often experienced unacceptable levels of background noise during conference calls, especially from the company’s previous desktop audio solution,” Earnest says. Collins Communications ended up turning to a ClearOne-centric solution to the long, narrow conference room’s audio challenges. 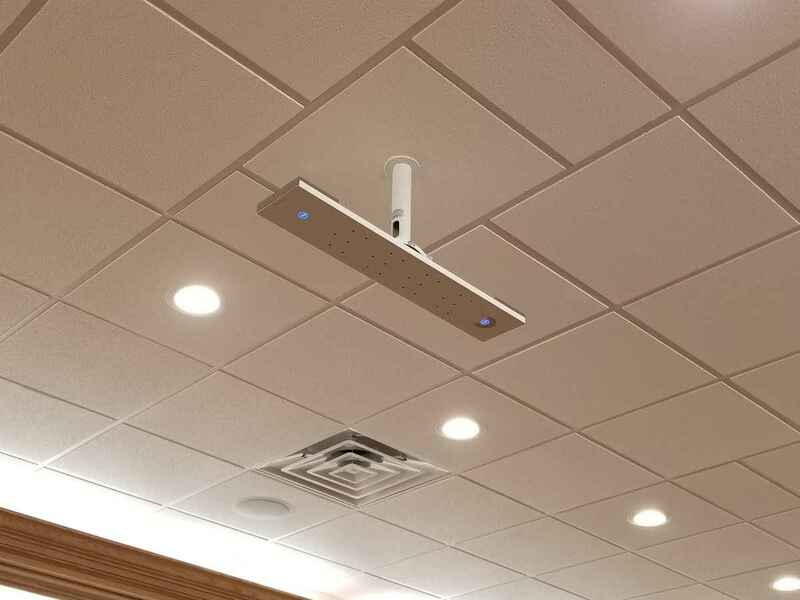 Earnest designed an integrated conference room audio solution comprised of the ClearOne CONVERGE Pro 880TA and the ClearOne Beamforming Microphone Array. The CONVERGE Pro 880TA is a professional audio DSP platform for conferencing applications. The 880TA features Distributed Echo Cancellation, Noise Cancellation and other audio processing. This combination of an automatic digital matrix mixer and an integrated, four-channel power amplifier delivered the sharpest audio experience with unmatched sound quality, according to Earnest. The ClearOne Beamforming Microphone Array is the first professional-grade microphone array that combines patented audio beamforming with adaptive steering technology (think of it as a smart beam section) and next-gen AEC technology, according to a ClearOne press release. 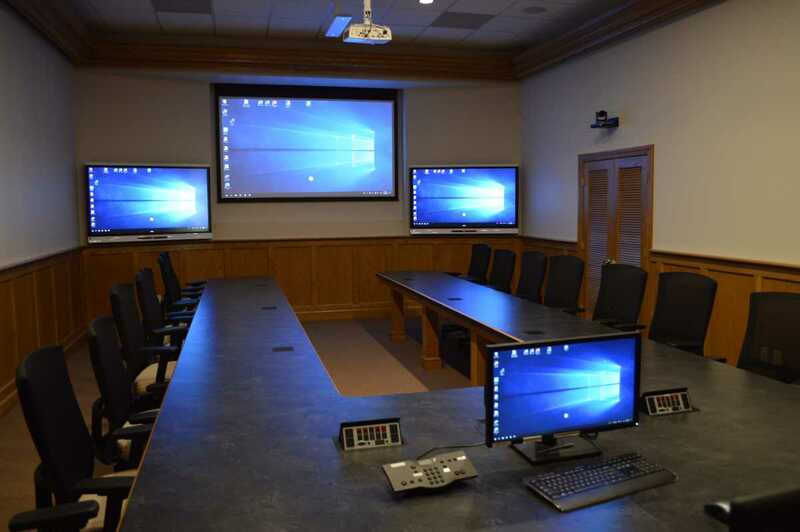 “ClearOne was very responsive and worked closely with us to ensure this solution we installed would meet TriOak’s exact AV requirements,” Earnest says. The length of the table in the room meant that it was unsuitable for placement of a single microphone. The installation of multiple standard ceiling microphones would have created conference room audio challenges in the form of distracting ambient noise and also ruined the clean sight line of the room when multimedia content was being shared during meetings. So Earnest went with the ClearOne Beamforming Microphone Array. “Twenty-four microphone elements reject unwanted noise and reflections, offering superb and unmatched performance, particularly for the group conferencing environment in the TriOak conference room,” Earnest says. Earnest also added a ClearOne Tabletop Controller to overcome conference room audio challenges and deliver simple user control of the CONVERGE Pro 880TA, with the ability to easily start and navigate TriOak audio conferences without the need for an external control system, which can be expensive, complex and intimidating to users. For the video side of the equation, Earnest deployed ClearOne’s UNITE 200 PTZ Camera. The PTZ 200 includes USB, HDMI and IP connections making it ideal for multiple applications such as PC-based web conferencing, unified communications applications and videoconferencing. “ClearOne’s ability to provide a ‘one-stop shop’ for all of the elements of the AV solution which TriOak needed was a really important factor for us. We had the confidence that the different elements would work together with no integration issues,” Earnest adds.